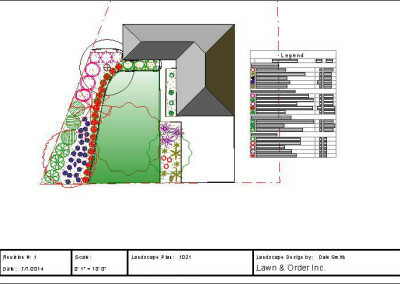 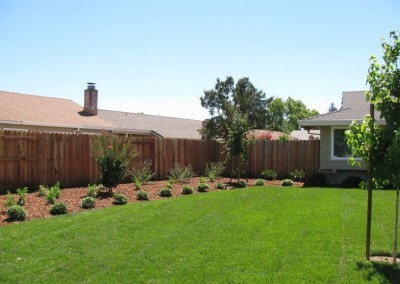 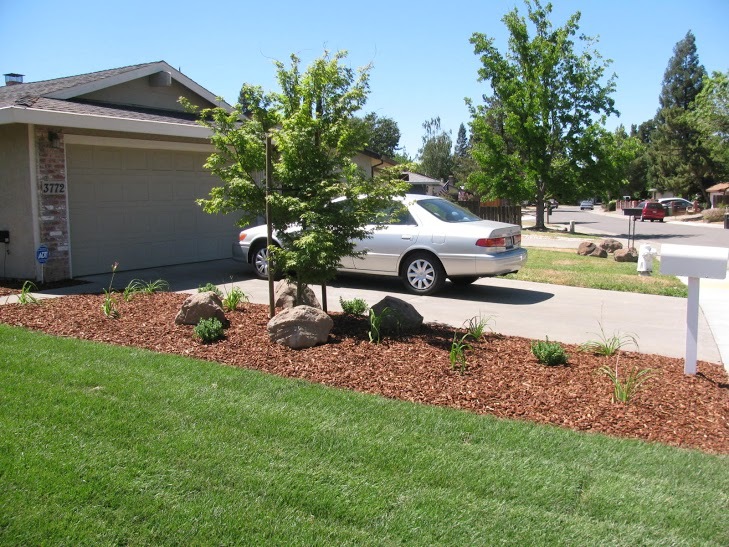 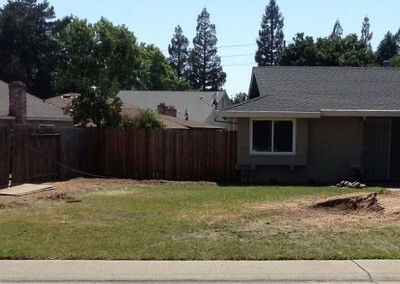 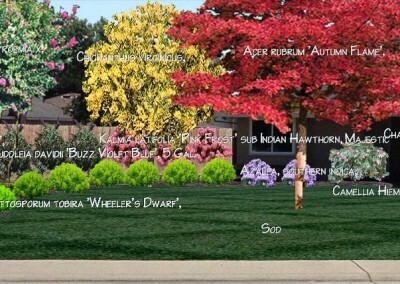 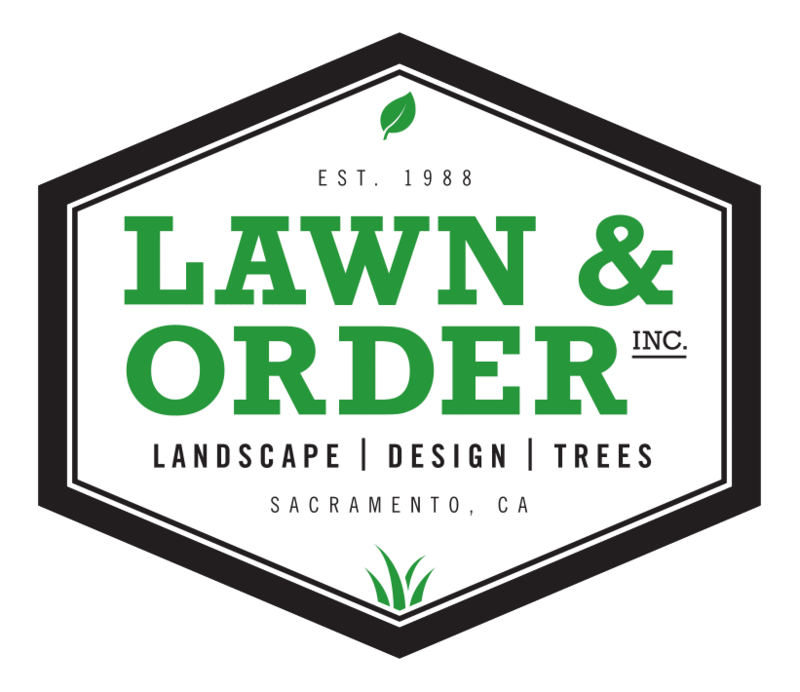 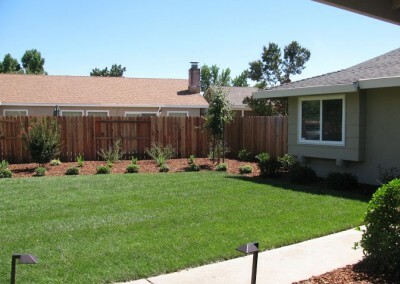 For this project, the customer wanted a traditional front yard with a large grass area and a planter adding some separation at the fence line. 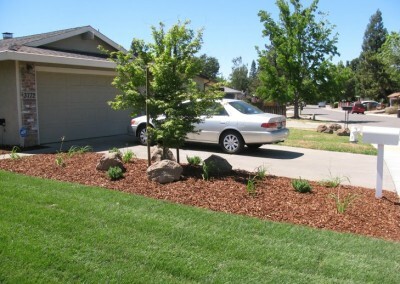 The customer elected to go with young, new plants that could be shaped as they mature. 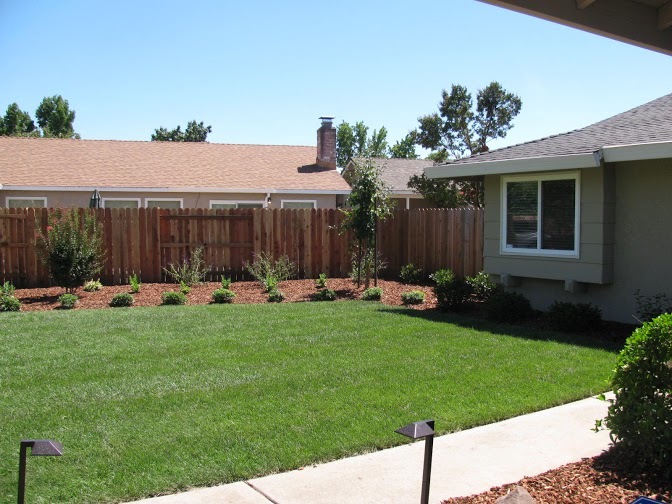 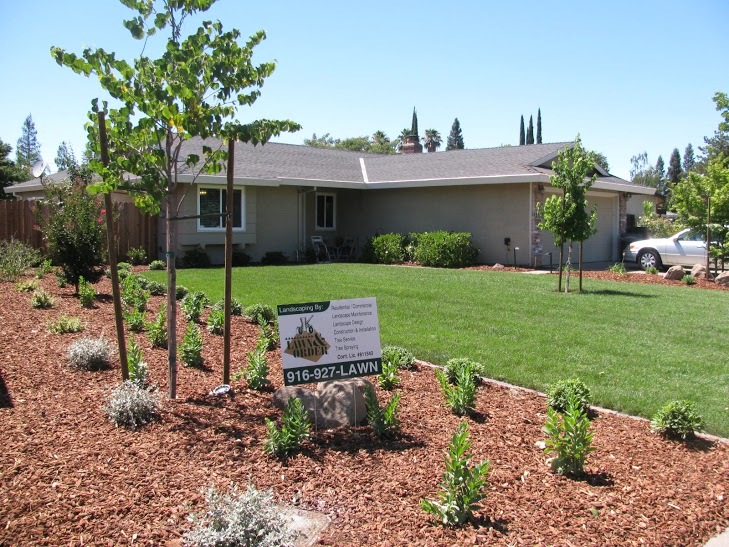 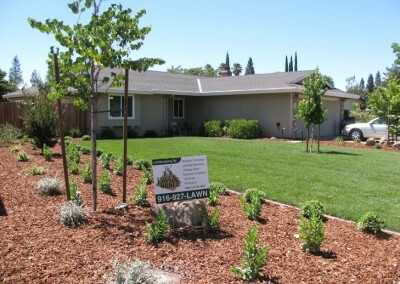 The yard also includes new irrigation and new trees that will eventually provided varying elevation to the landscape as well as shade.